9 days | From 13165RMB/pers. Experiencing the beauty and serenity of Luang Prabang, spiritual centre and former capital of Laos.Witnessing an ancient Buddhist offering to hundred of orange-robed monks as the sun rises over the mountains beyond Luang Prabang.Enjoying the nature at Kuangsi waterfalls.Cruising on the Mekong River to the mysterious Pak Ou caves and its mass of Buddha statues.Having a look over the stunning limestone landscapes of Vang Vieng from the Nam Song river.Discovering the hidden charms of Vientiane.Tasting one of the most famous coffee of the World. 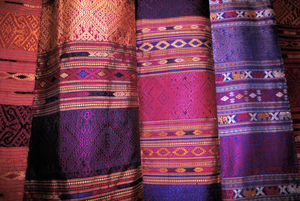 Upon arrival to Luang Prabang airport, you will be met by your Laos guide and expedited through customs. After all formalities are completed, transfer to your hotel for check-in and a chance to freshen up. Rest of the day, free time at leisure. At the end of the day, climb the 328 steps to the top of Mount Phousi to enjoy a panoramic view of the city and the surrounding countryside and get back to your hotel by the evening hilltribe market where you may find plenty of local souvenirs to buy such as handicraft, textile. Overnight in Luang Prabang. 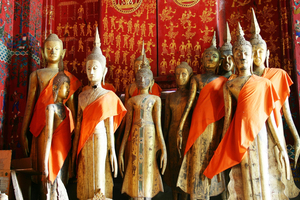 After breakfast, start with the morning visit by the most photographed temple: Wat Xieng Thong. Located at the end of the peninsula, close to the Mekong, this temple has been erected in 1560 by King Setthathirat while the library has been added in 1828 This morning (1030), board the « Nava Mekong » traditional river boat with its unique configuration that will enable you to enjoy a leisurely paced cruise up and down the mystical Mekong River. As you leave the peninsula of Luang Prabang behind you, you witness rural life and peaceful sceneries on the banks of the river as you cruise upstream. After just a bit more than an hour, you reach Pak Ou caves at the confluence of the Mekong and Nam Ou River giving its name to the location. In these 2 caves are displayed hundreds of sacred centuries-old Buddha images which are the object of pilgrimages during the Lao New Year festivities around mid April. The venue offers amateur photographers endless possibilities. The boat then keeps cruising in the vicinity of the caves and will moor during lunch time at the foot of beautiful limestone cliffs. A selection of typical Lao dishes will be served onboard. 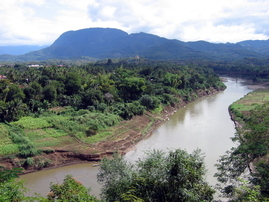 Cruise back to Luang Prabang and return in the early afternoon. The city tour begins in the afternoon with your guide who will enable you to learn more about this town registered on the World Heritage Patrimony List since 1995. Your tour starts at the former Royal Palace, now the National Museum. Your walk continue to Wat Mai, a temple renowned for its golden bas-relief (closed on Tuesdays). During Pimai, the lao new year, the Prabang normally housed in the Royal Palace Museum is brought and put on public display in this temple. 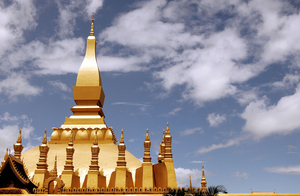 Then, our walk will conduct us to Wat Sensoukarahm, build in 1718 with its beautiful dazzling golden façade. Overnight in Luang Prabang. A very special (optional) dawn visit – highly recommended - before breakfast to witness the long lines of orange-robed monks leaving their pagodas to receive offerings of food from Luang Prabang residents. Back to the hotel for breakfast. In the morning, Wat Visoun, the holiest temple of the city, entirely rebuilt after being destroyed in 1887 by the invading Black Flags from Southern China. In the courtyard of Wat Visoun stands the Watermelon Stupa shaped like the fruit it takes its name from. You will continue by Wat Aham where we can find the altar of the 2 genius of Luang Prabang and then go to Wat That where the ashes of King Sisavang Vong are interred inside the large central stupa. 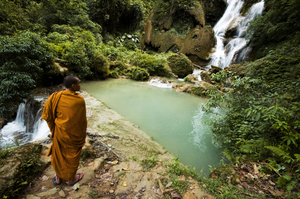 During the afternoon, you will visit Kuangsi Waterfalls, located at 32 km from Luang Prabang. These waterfalls run through a multilevel limestone formations in the jungle into a series of turquoise blue pools where you may bathing at the foot of the falls if the weather is nice (please wear a sarong, no naked bodies). 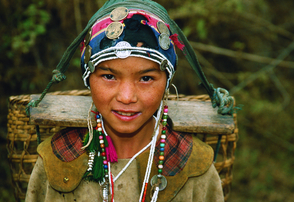 On the way back to your hotel, stop at 2 ethnic villages to learn more about their local daily life. Overnight in Luang Prabang. After breakfast, morning depart for a drive down spectacular Route 13 towards Vang Vieng (7 to 8 hours). Stop in Kasi, the center of a fruit-growing area. Continue to Vang Vieng, nestled along the Nam Song River and framed by spectacular karst formations housing numerous caves. Visit of Tham Jam Cave in the afternoon and stroll through town along the Nam Song River. 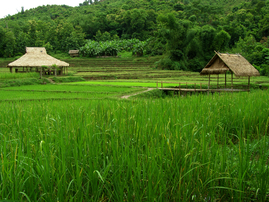 If timing permits, visit of the organic farm, 3km northwards of Vang Vieng where traditional gardening ways are maintaining in order to produce fresh vegetable and fruits. Vang Vieng is a famous place between Vientiane and Luang Prabang, surrounding by an amazing limestone relief where you may visit some caves. If the town losts a part of its soul, do not hesitate to move a little bit away to enjoy the local daily life. Besides the banks of the Nam Song River, you may have a lot of opportunities for trekking and caving as well to learn about the local mythology regarding the name of the caves. Do not forget your sunset upon the river! Overnight in Vang Vieng. After breakfast, drive to Nam Gum lake (about 2 hours). 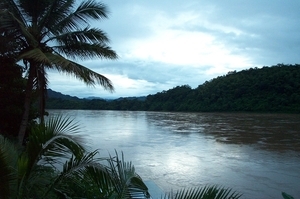 Nam Ngum Lake is the largest lake in Laos and you can enjoy there great sceneries. This artificial lake was built to produce electricity and was indeed the first hydroelectric dam ever built in Laos: the dam generates 160 Mega Watts of electric power (Electricity being one of the most significant source of income in Laos). Lunch by the lakeside (not included). We advise you have the fresh and grilled fish from the lake. Then take a boat cruise on the lake and enjoy the scenery of mountains, hills, beautiful forests and islands. Fishing is also a significant activity on the lake and you will have the opportunity to see the fishermen on their boats, fishing with hoop nets, nets and lines. 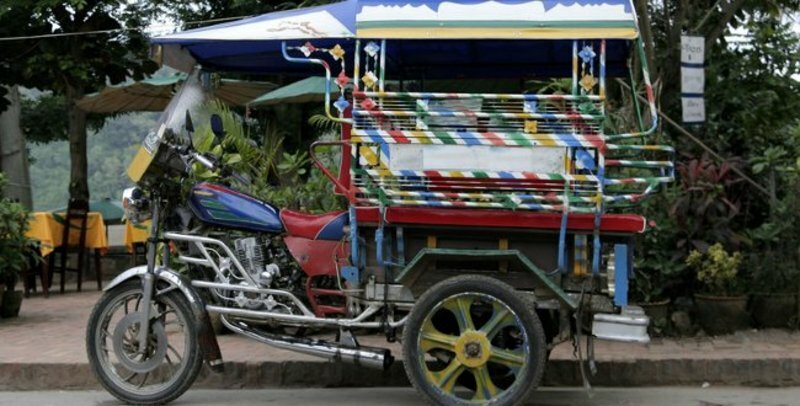 After your cruise, transfer to Vientiane with a visit at the salt mine of Ban Kheune and at the typical local market of Kilometer 15 (Don Mak Kai). Overnight in Vientiane. After breakfast, free at leisure until your transfer to the airport for your departure flight. Accommodation at selected hotels based on Single, Double/Twin Room with breakfast. Meals as indicated in itinerary. B = Breakfast; L = Lunch; D = Dinner.